Suspiria is one messed-up movie. We’ve already established that Luca Guadagnino’s remake of Suspiria is quite good. And maybe you’ve even had a chance to see it. Even if you haven’t, though, you can skip to some of its best, most disturbing parts thanks to a new featurette. The clip goes through how several of Suspiria’s more violent, creepy scenes were achieved through practical effects. Mark Coulier, the prosthetic makeup designer on Suspiria, is at the center of the clip, and he takes us through how he and his team brought the gruesome, gut-wrenching visuals to life. Beware though, this video does ruin several of the film’s surprises. 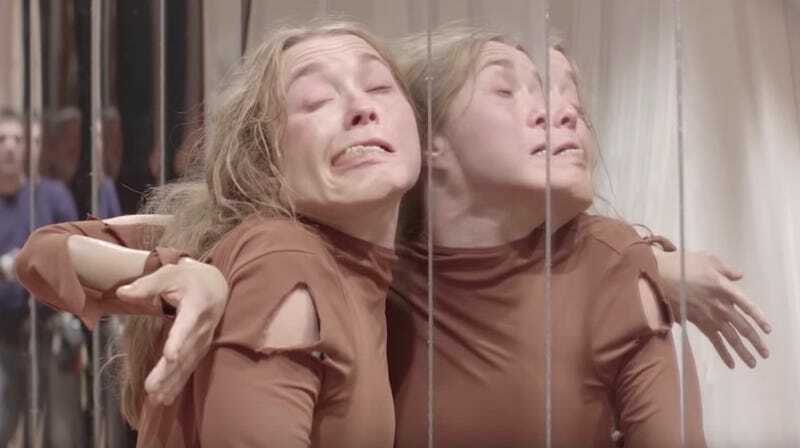 Just seeing how the mirror room dance scene is done, or how Tilda Swinton was made-up to be Helena Markos, the leader of the witch coven, is enough to send goosebumps up your arms. This is really top-notch work that gives the film an even more disturbing layer. Suspiria is still in select theaters and will be on Amazon Prime next year.